The 2018 U.S. Collegiate Beach Championships will return to Hermosa beach in southern California from May 9th-12, 2018. This will be the second edition of the USA Volleyball/USOC-sponsored pairs tournament that is not an NCAA-sanctioned event. See the full list of rules and regulations here. 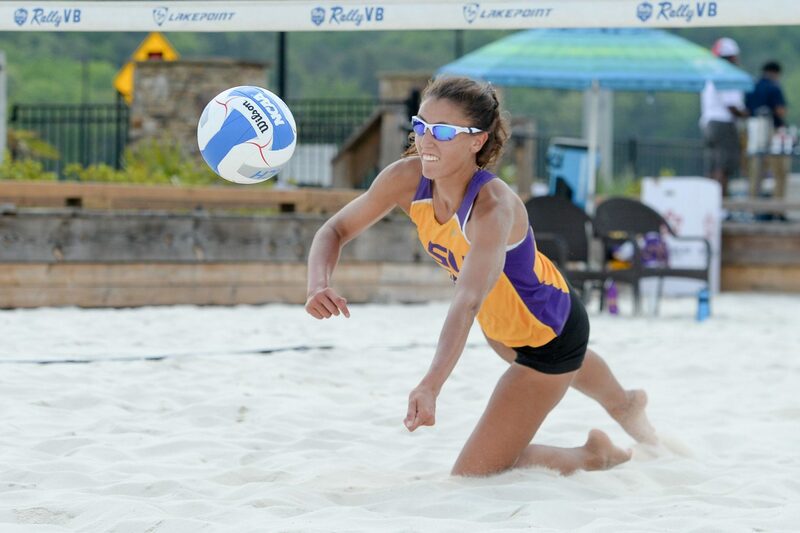 As compared to the NCAA format, which awards only a team (best of 5 pairs) title, Collegiate Beach Championships award a national title to a pairing instead of a whole school. Also unlike the NCAA, USA Volleyball sponsors a men’s beach tournament as well. In 2018, there will be 32 men’s and 32 women’s teams invited. There will be a qualification tournament on May 9th, followed by a main draw tournament of pool play and a single-elimination bracket thereafter. The finals will be televised live on NBCSN from 4-6 Eastern on May 12th. The tournament is not completely disassociated with the NCAA. Players will represent their universities, meaning pairings must be from the same school. In the women’s bracket, the 8 schools selected for the NCAA team championship tournament will receive an automatic bid to USA Volleyball’s events. The other 24 will be selected by a committee “based on merit from the USAV Beach Ranking and NCAA results, or enter through the qualification tournament.” In the men’s bracket, all 32 teams will be chosen by the selection committee. Because the event is a selection event for the 2018 FISU Beach Volleyball World University Championship in Germany, all participants must be U.S. citizens and meet other FISU requirements. Participants must be working toward a degree, but USA Volleyball did not say they still have to have remaining NCAA eligibility. FISU is the same organization that runs the World University Games. Nominations for entry will open in March, and close in late April. The Selection Committee will be confirmed in early April and will consist of USAV staff members, AVCA representation, Athlete Representatives and coaches from NCAA beach volleyball schools and indoor men’s volleyball schools. Last year, the women’s tournament was won by Kelly Claes/Sarah Hughes of USC, who have since completed their college eligibility. The men’s tournament was won by Lucas Yoder of USC and Michael Saeta of UC Irvine. Yoder has signed a pro contract to play indoor volleyball in Italy, while Saeta has exhausted his men’s indoor NCAA eligibility. Regarding the 2018 U.S. Collegiate Beach Championships – how many teams advance to pool play and then to the single elimination format? Hey Keith, 3 teams from each pool, so 24 total, will advance. Have they posted a list of all of the teams? Not that we’ve seen yet, but we’ll post them when they do.